This is a Mitsubishi Minicab 3G81 6V SOHC 3-cylinder 550cc engine in for a complete rebuild. 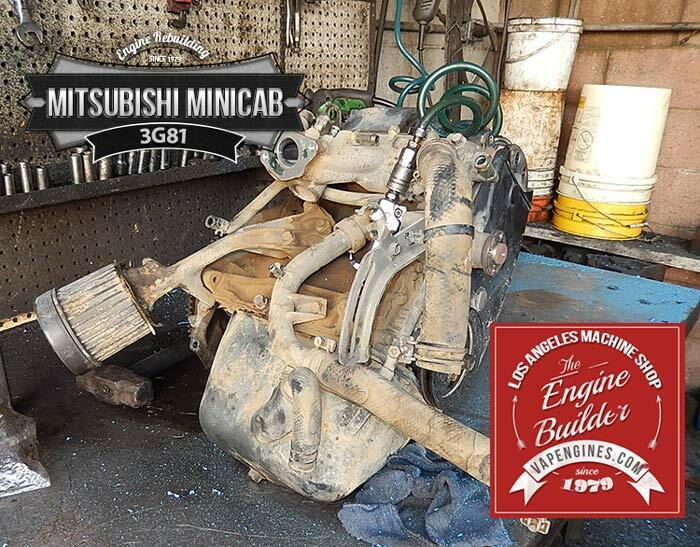 Everything about this engine is mini! We get quite a few of these in for rebuilds. They come out of smaller work trucks that usually don’t drive on the road. Mostly imported from Japan. They get the same treatment as the big guys. Teardown and Inspection, Hot tank and clean, Magnuflux for cracks or needed repairs. Replace any missing or broken parts. 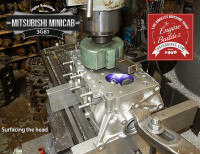 Machine Service- Hone engine block, grind and polish the crank and cam, Valve job on the cylinder head. 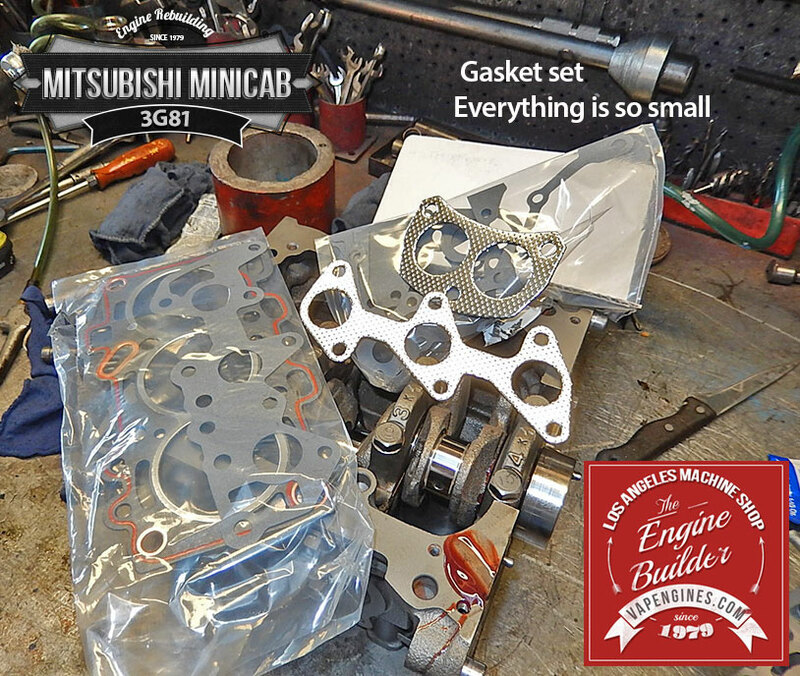 Engine Rebuild Kit- New rings, engine bearings, gaskets, freeze plugs, and timing set. 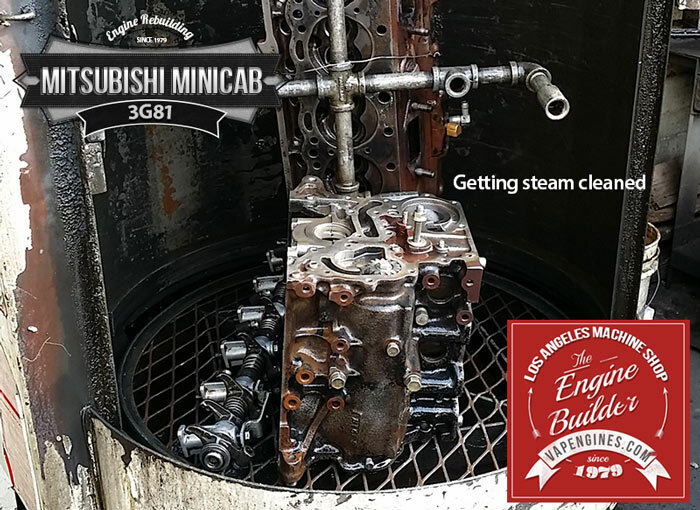 We’re ready to dive in and teardown and hot tank all the parts, scrub and clean so we can inspect for any cracks or repairs. 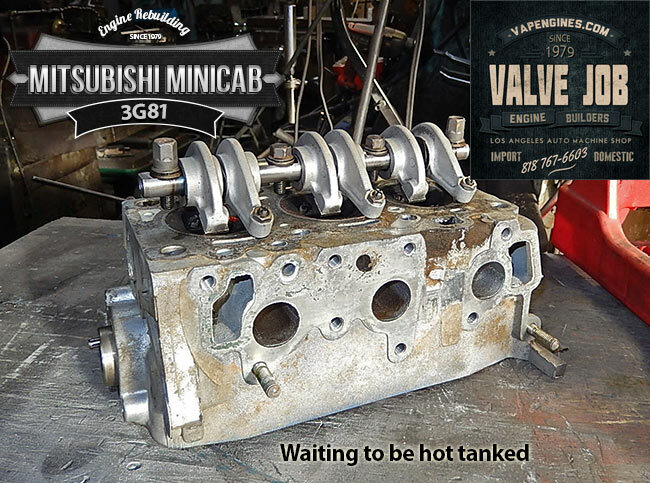 All the parts are good, so we move on to resurfacing the cylinder head, polishing the crank , starting the engine block work and then give everything a coat of paint. 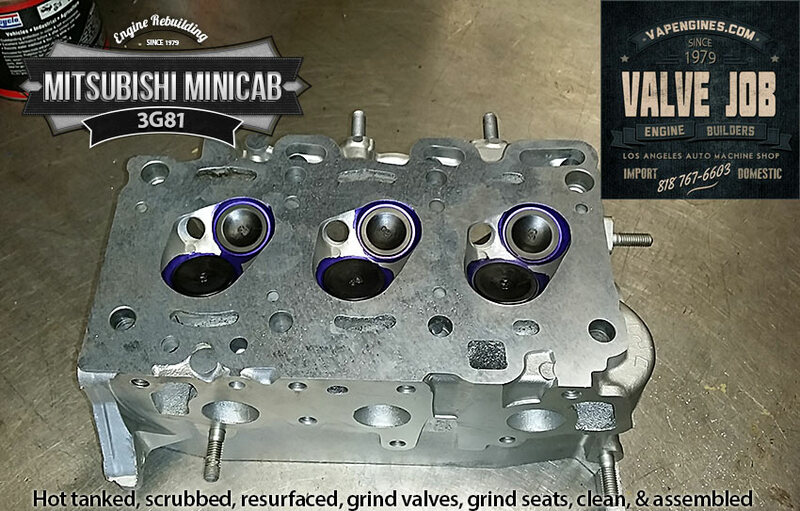 Cylinder head gets a valve job: grind/ cut valve seats (3 angle), resurface, clean and assemble. New valves installed to replace some bent valves, the good valves were ground to proper specs to seat nicely. We’re ready for assembly. Short block parts assembled, then the long block is put together. 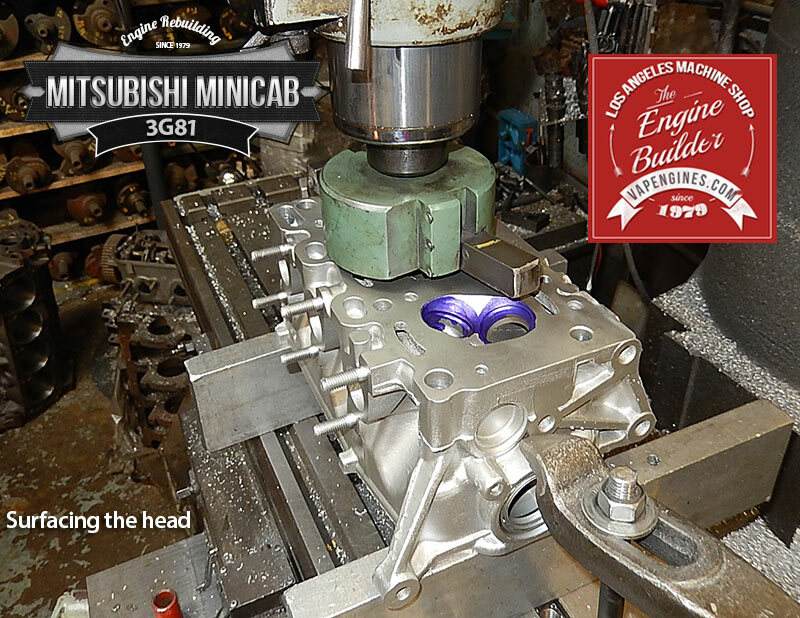 I say long block, but this Minicab engine is tiny in comparison to our usual Fords, Chevy’s and GMC motors. 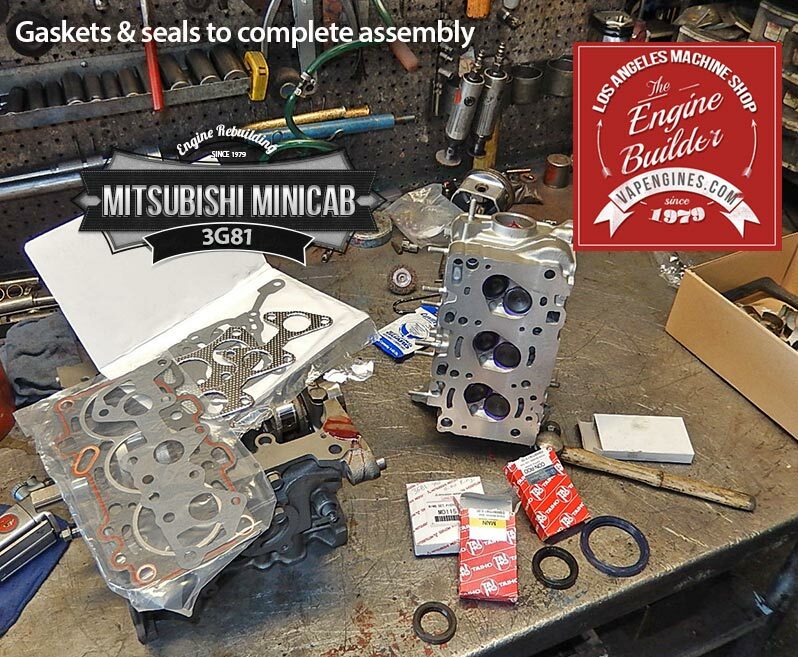 3G81 Minicab engine rebuild kit included: new pistons, piston rings, engine bearings, gaskets, seals, timing belt and tensioner. 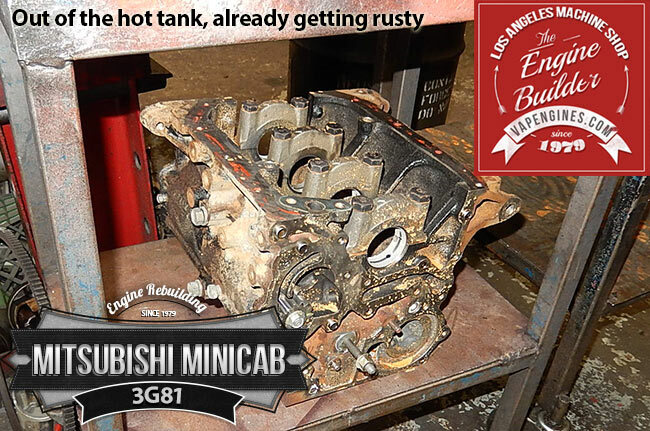 Behold the remanufactured Mitsubishi Minicab 3G81 3 cylinder engine. It’s ready for pick up. Need parts to rebuild your Mitsubishi Minicab? 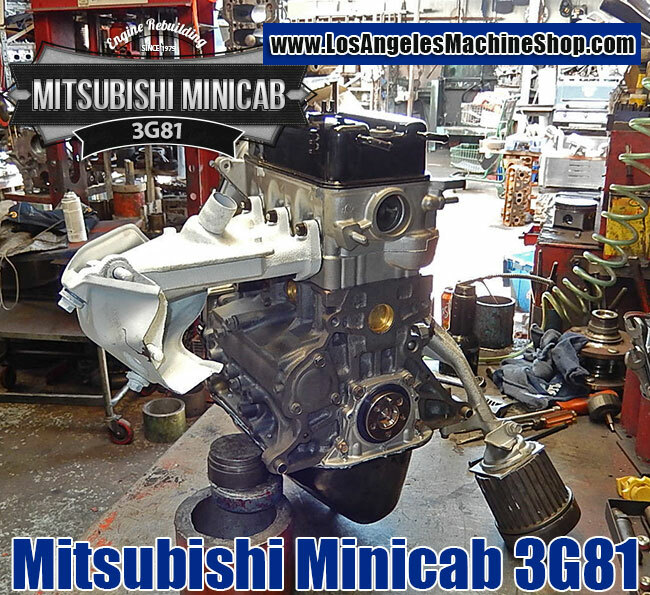 Need your Mitsubishi 3G81 Minicab engine rebuilt and remanufactured? 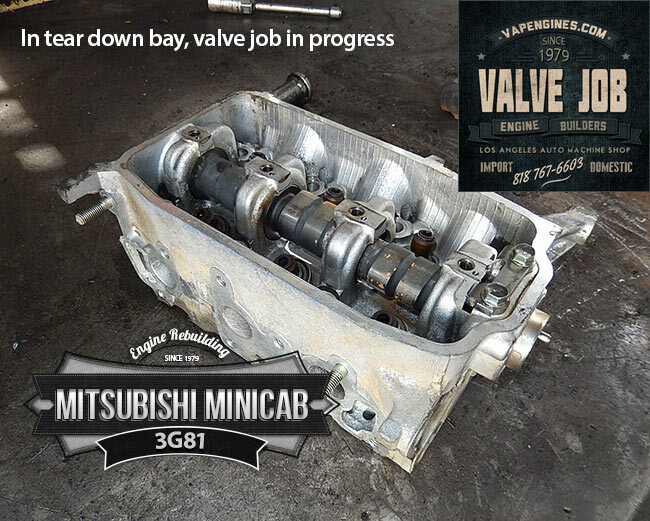 Use the Contact page to email us for an estimate to rebuild your 3G81 or for parts. Uhm, how about a 3G81 from a Minica Dangan ZZ? Can y’all rebuild that? 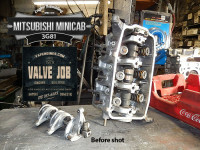 Yes, we can rebuild the 3G81 Turbo version. 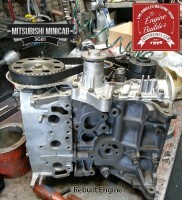 I will email you an estimate for an Overhaul and an estimate to Remanufacture your engine. Can I also get a price for a 3G81? Also by any chance you have carburetors for this motor? Used carburetor is fine. 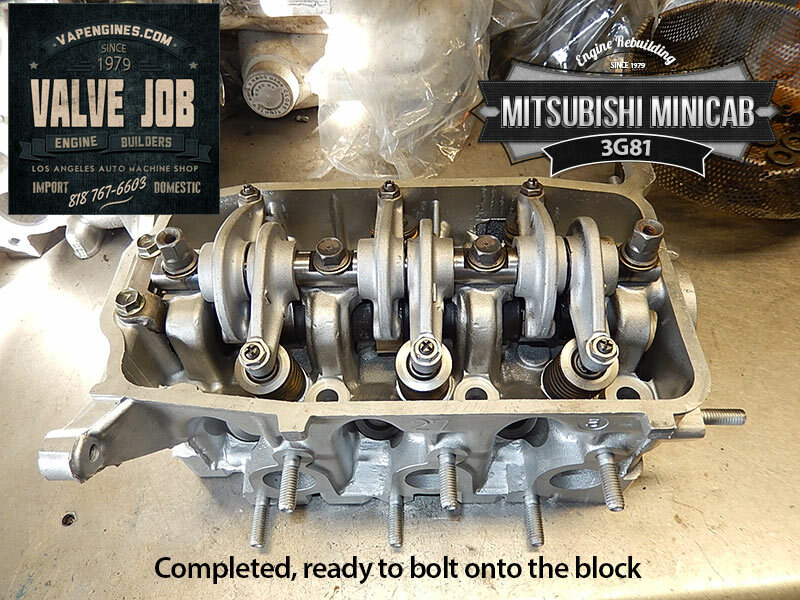 Thanks for contacting us regarding a Mitsubishi 3G81 rebuild. 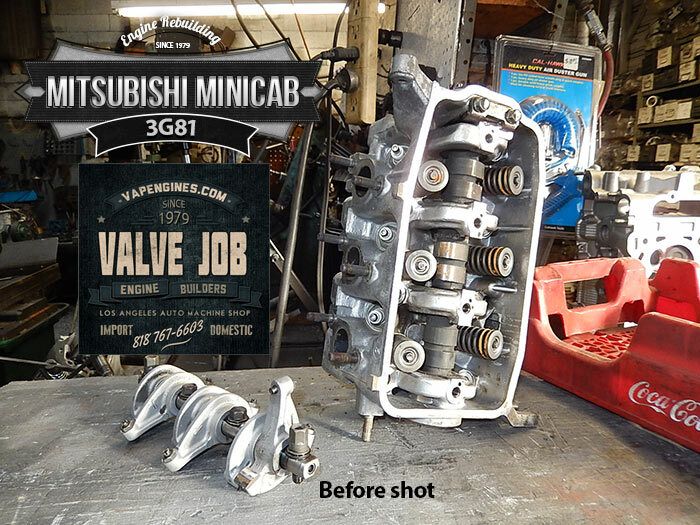 We can rebuild your Carb. I’ll email you directly. 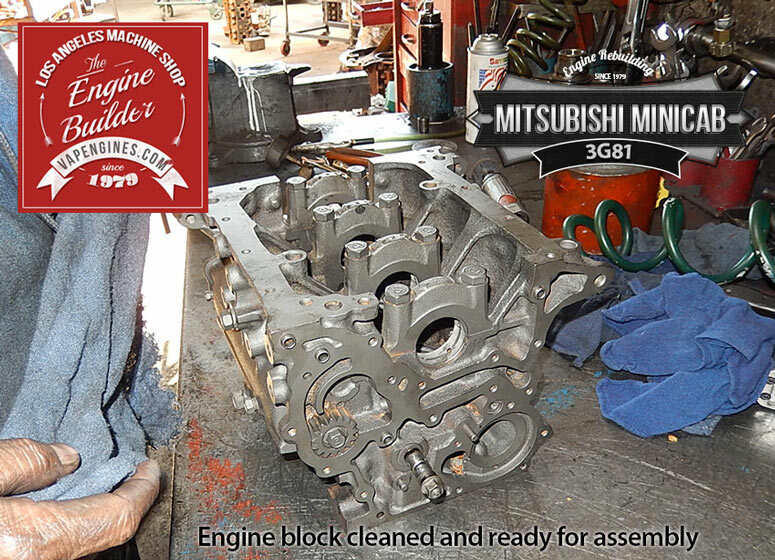 I just sent you a direct email with an estimate to rebuild your Mitsubishi 3G83 engine. I will send you an estimate via your email address for your 3G83. I have same problem with a 3g83. How much to rebuild reman? 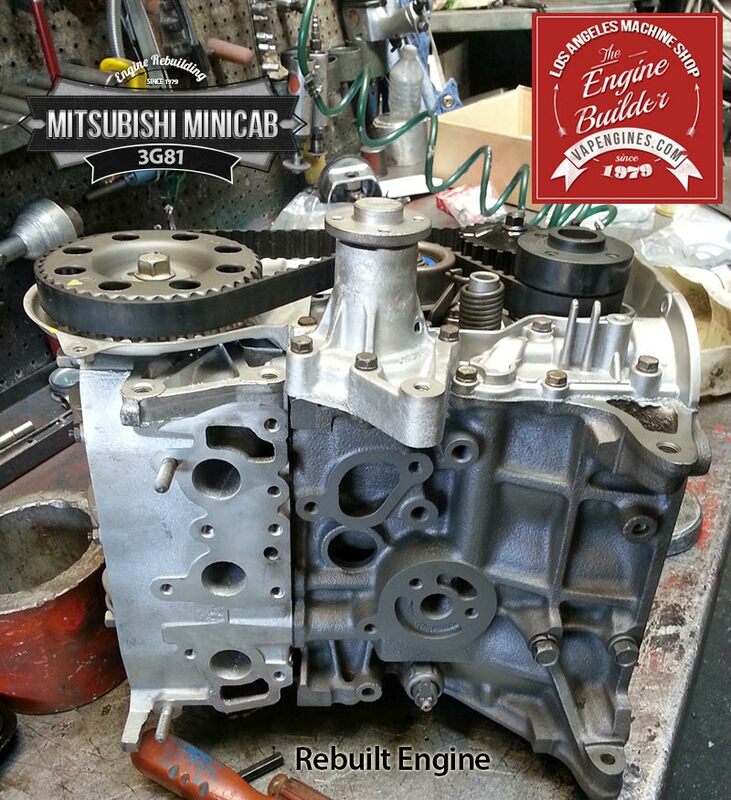 Thanks for contacting us for an estimate to rebuild your Mitsubishi 3G83. 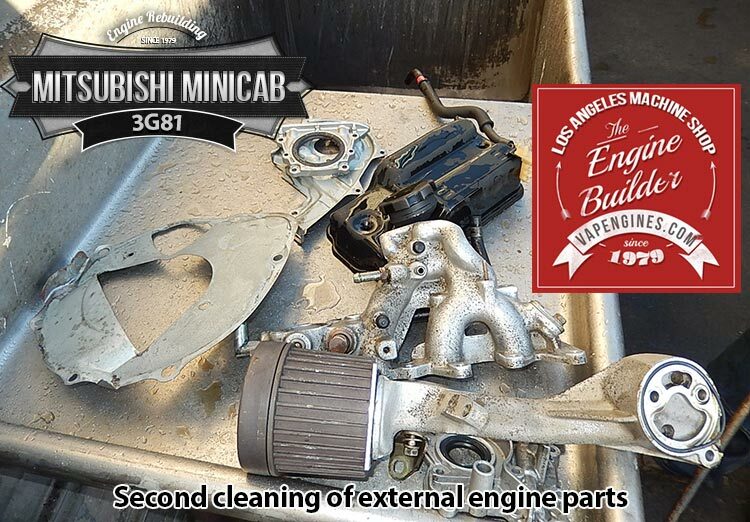 How much to rebuild Mitsubishi 3g83? 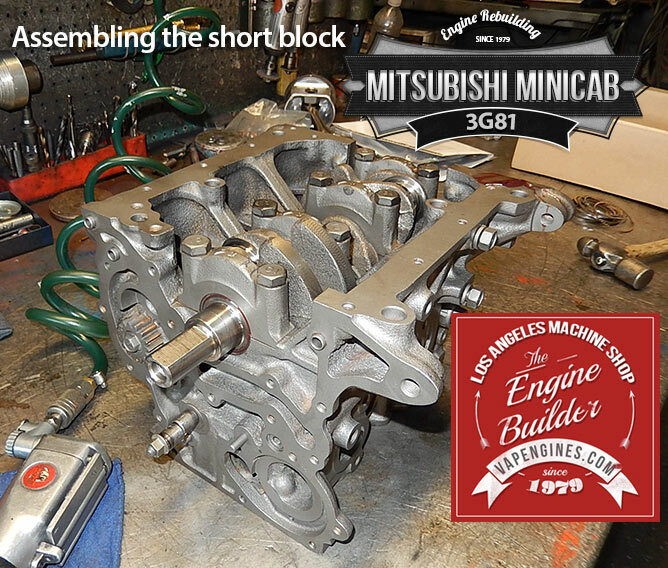 I emailed you an estimate to rebuild your Mitsubishi 3G83 engine. I emailed you an estimate to rebuild your Mitsubishi 3G81 engine. 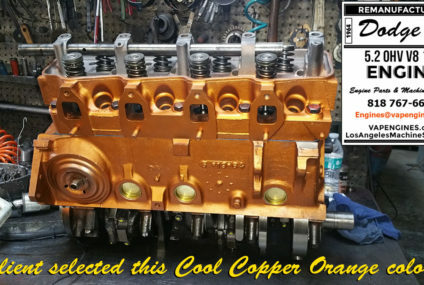 As per phone call, I need 3 x connecting rod, set of rod bearings, complete gasket set. If you could confirm availability and pricing it would be great. Could you also inquire about shipping to Malta (Europe) for me please? I sent you an email for pricing on the connecting rods and engine parts you requested for your Hemi 3G83. 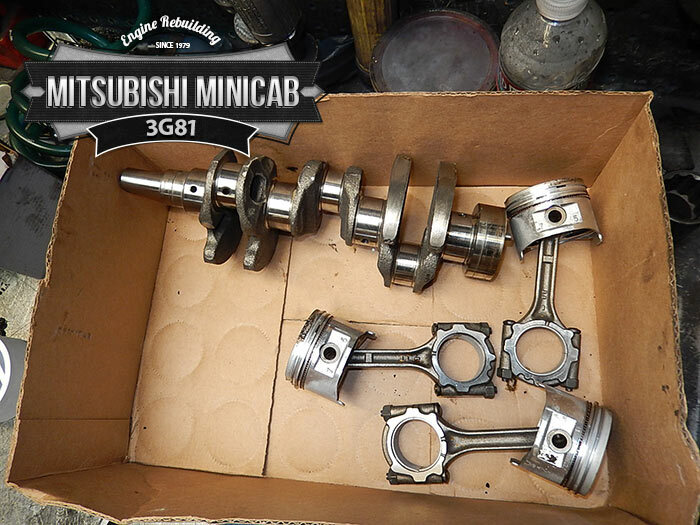 What would be the cost to rebuild a 3G81 or for a rebuild kit? 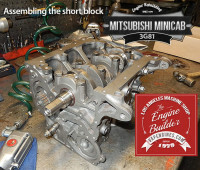 I emailed you an estimate to rebuild your Mitsubishi 3G81 3 cylinder engine. 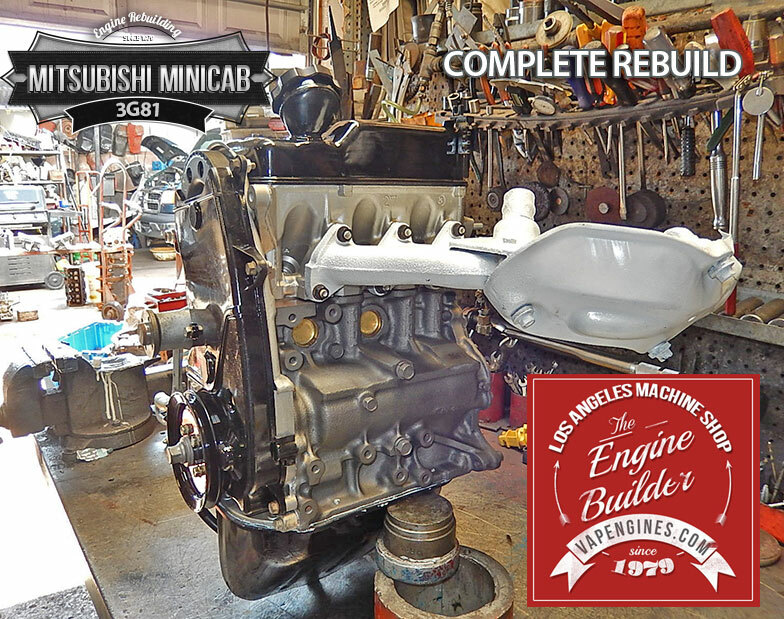 How much for a rebuilt 3g81 and how much to restore and rebuild the same engine? I have one that’s in desperate need of attention! Also can you supply other OEM parts like fuel pump, leaf springs, etc? Happy New Year! 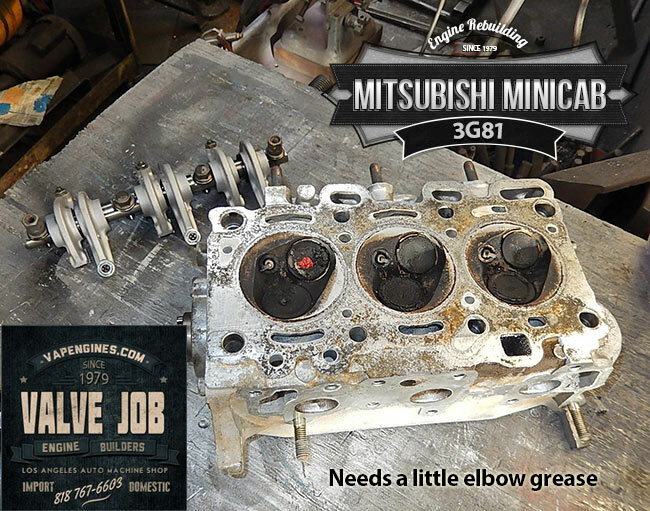 I emailed you a quote to rebuild your Mits 3G81 engine. Yes, we can get additional parts, I have to check availability once you get me a list of items. Just reply to my email. may available poh ba kau na cylinder gasket 3g81..? 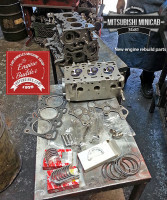 Thank you for contacting us for a price on a Mitsubishi 3G81 Head Gasket. I’m sending you a quote to your email address. Hi. 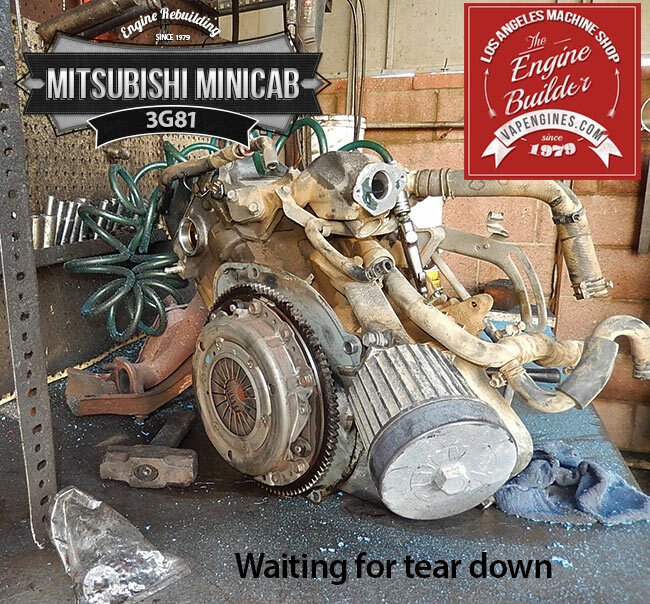 Could you email a price for a rebuild on my 3G81, and if you have built….how much for it? 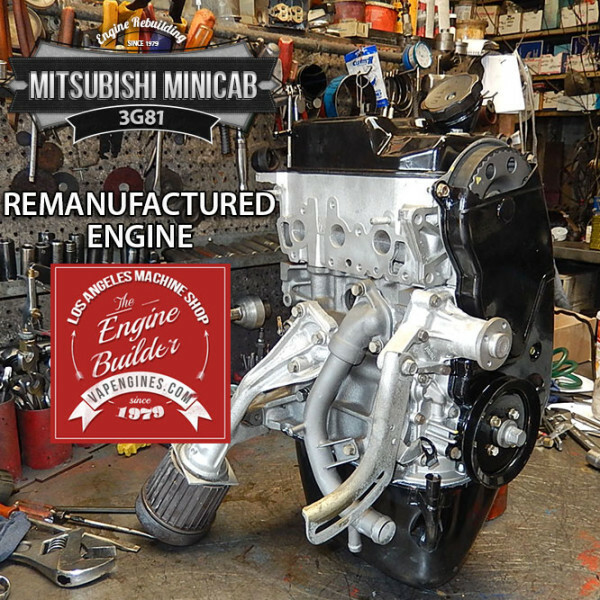 Thanks for contacting for quote to rebuild your 3G81 engine. I’m emailing it to you today. 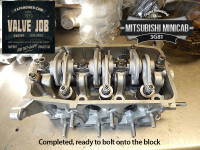 I have nissan clipper minitruck 3g83 engine. it work not normal.valves knocking.I want to adjust valves clearence .Can be adjust. Yes, the clearance can be adjusted. I believe it is 8 intake and 12 exhaust. Be careful or you might break the rocker arms, those are hard to come by. 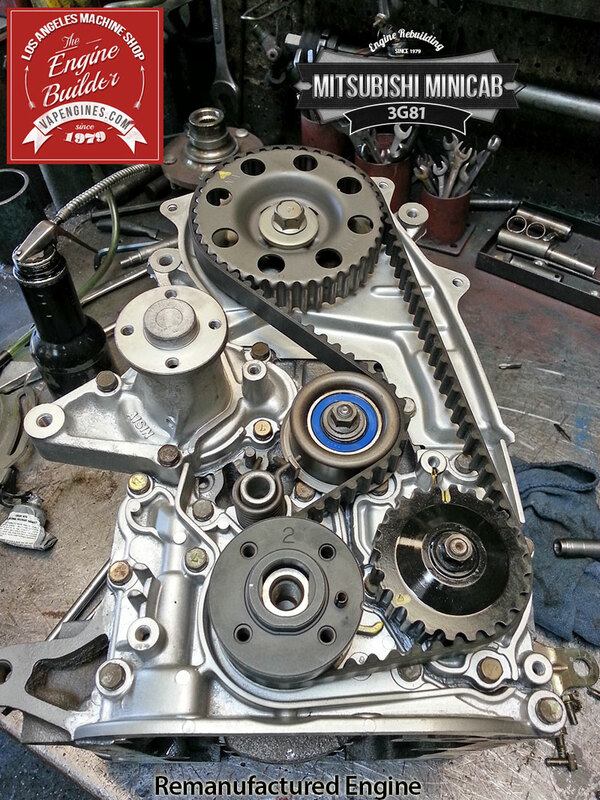 Hi, I’m not sure if you can help but we are over in New Zealand and we have been searching hi and low for the valve timing marks ,if you wouldn’t mind sharing this info it would be really helpful. Thank you for contacting us for information on your 3G81. 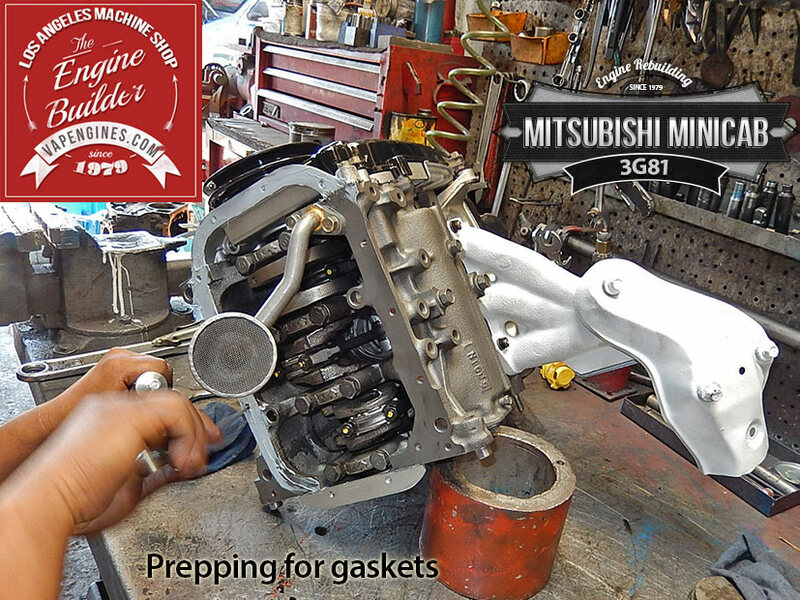 I know, information is incredibly hard to find for the 3G81 engine. 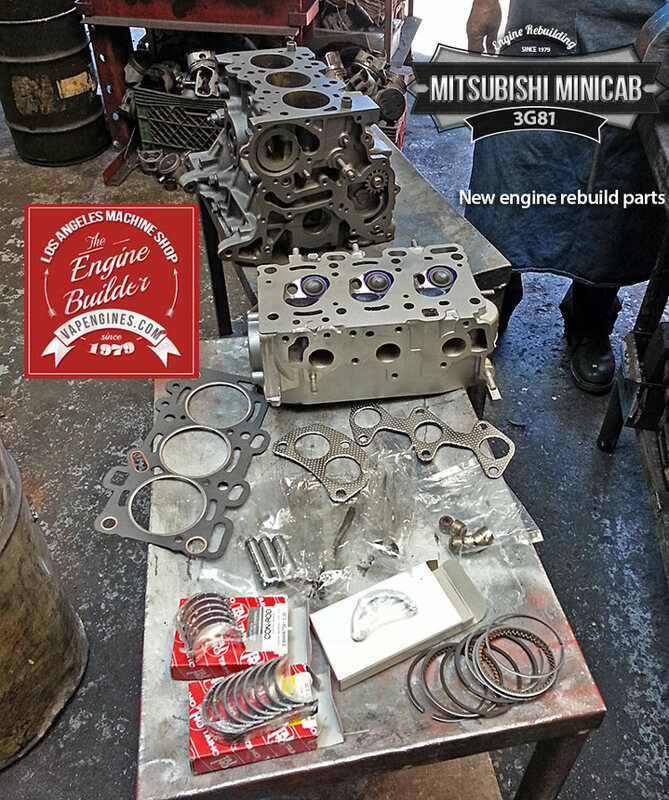 We rebuild quite a few of these engines, although I never have time to put up more photos of others we have rebuilt. I do have the information for you, I’m sure you will be quite pleased. 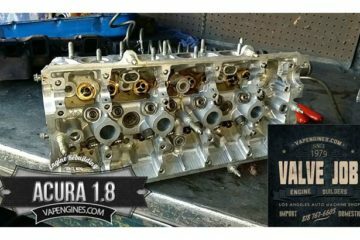 I cannot attach files here, so I am sending you a PDF of the Valve Clearance and the Timing marks via email. HI, I have a 3G81 engine that idles very fast and the choke control is missing off the carb. Should I replace the carb and a new choke and if so is that available? 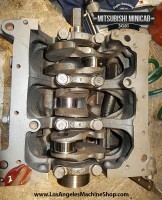 I have a 3g83 non hemi spun a rod bearing, The rod was not matched. 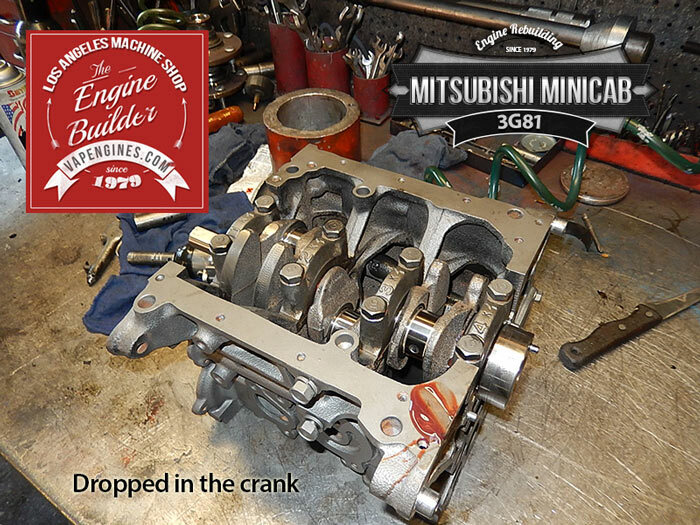 How much to grind/polish my crankshaft? 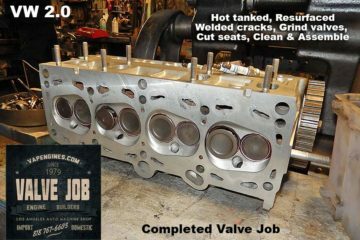 How much to do a short block rebuild. I would have to ship from the midwest, thats why I am not looking at long block. Thanks for contacting us regarding your 3G83. 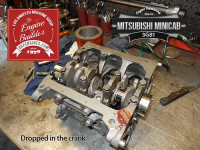 A crank grind runs $85.00, if it is salvageable. You need to measure it first and let me know what size it is. If it is more than .20 over, bearings may not be available. Also compare the rods, you might need a new one. Measure the inside bore of the rod. New rods run about $110.00 each. Shipping is Not included in any quoted pricing. 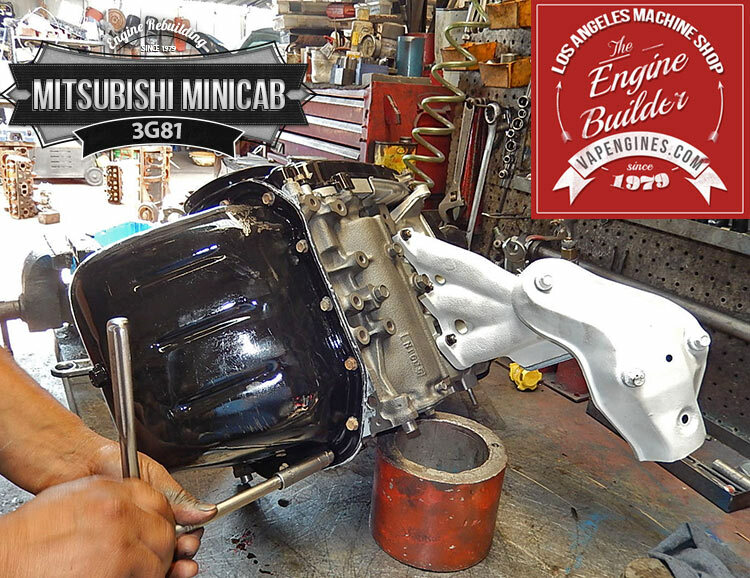 If you have any questions, call the shop and ask for Joe 818 767-6603. 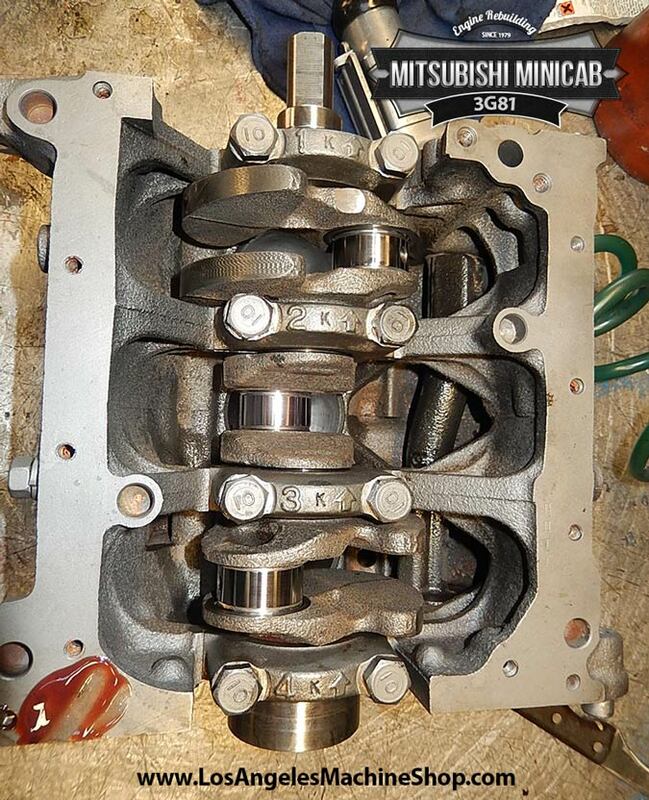 Thanks for inquiring on a solution for your 3G81 engine problems. The smoke can be from a variety of issues, the valves, guides, head problem. 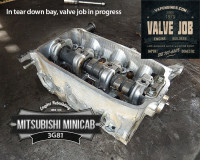 I will email you directly estimates on a valve job for your 3G81 and an estimate to remanufacture your 3G81. Thanks for inquiring on a price quote. That number you gave is not the normal format. I believe you have 1996 U42T 660cc 3G83. I emailed a quote to your direct email. Thanks for contacting us regarding your 3G81. 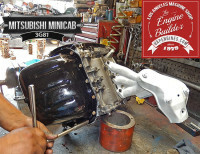 At this time we do not have a rebuilt 3G81 in stock. I’ve got a rebuilt 3G83 in stock for future reference. 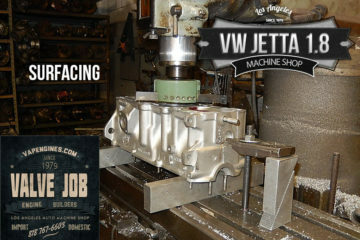 We can rebuild your 3G81 engine, I’ll send you a quote to your email. I’ve sent you a few emails on the estimate for a rebuild and Valve job. Can you verify your email address or check your spam folder. Whats the cost on reman 3g81? 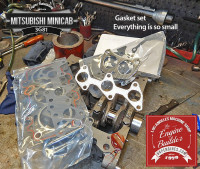 Whats the cost on head gasket set? 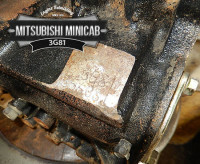 Thanks for contacting us about an estimate to rebuild your Mitsubishi 3G81. I’m sending you an email directly. 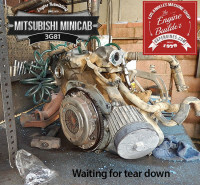 What would the cost be to overhaul a Mitsubishi 3G81and if I could buy a complete overhaul kit what would it be? 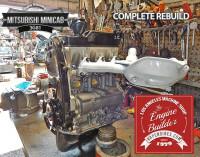 I’m sending you a quote to your email with a quote price on the rebuild and overhaul kit. What would it cost to reman a 3G83? Thanks for inquiring. I’m sending you an email directly with a quote. Thanks for contacting on your Mitsubishi 3G81. I’m emailing you directly on the pricing.